You dream of saying ‘I do’ far away from home. Have you considered a cruise ship wedding? This unconventional approach gives you the romance and flexibility you desire. Wed onboard with a captain or at your favorite port destination. Ceremonies can be intimate or lavish – it’s all up to you! Do you desire an intimate affair with few interruptions from staff members or other passengers? 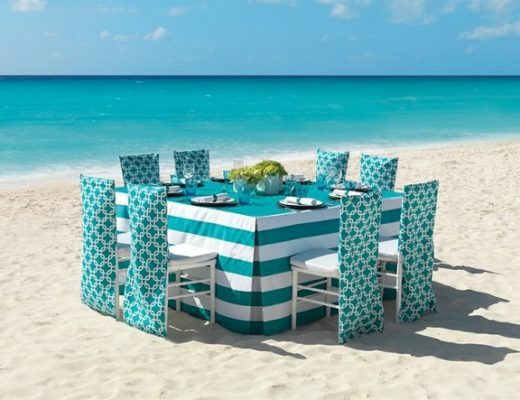 Or do you want to celebrate with your guests and make new friends? Your preference could influence everything from wedding venue to where and how you dine. Your guest list’s length will determine how you book. If you expect a sizable group made up of family and close friends, consider booking as a group. If you’re on the hunt for a private experience, you’ll appreciate the tall ships of Star Clippers Cruises, which carry just 170 or 227 guests. If you didn’t recite your vows on a cruise, what type of venue would you prefer: A traditional chapel? A glamorous ballroom? The beach? Think of the elements that make this location special and apply them to your ideal cruise venue. For example: if you prioritize a meaningful religious ceremony, select a cruise ship with a chapel. Other cruise weddings take place in atriums or on ship decks. Perhaps you prefer to wed on land. Not a problem – several cruises can take you to your port of choice. 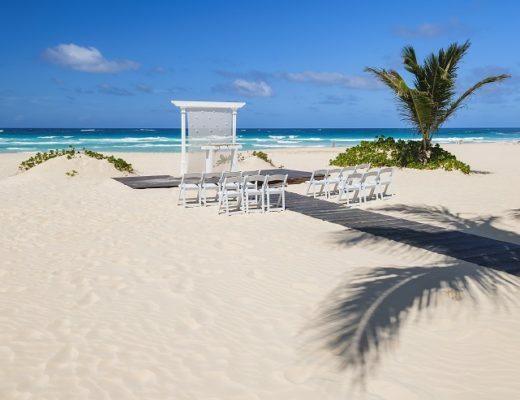 Recite your vows on the beach or in a gazebo before returning to your cruise ship. Your cruise selection will largely depend on where you want to go, what you want to see, and how long you can be away from home. Your ceremony and reception may take center stage, but depending on the length of the trip, it will only occupy a few hours of a multiple-day affair. Thankfully, cruises grant you and your sweetheart an amazing opportunity: you can cross several destinations off your bucket list without continually boarding planes. Before you book, list the top destinations you and your spouse-to-be dream of exploring – and select a cruise that hits as many of these spots as possible. Accommodations are notoriously small on some cruise ships. Imagine trying to prepare for your big day in a room the size of a shoebox! Such conditions are bound to rattle even the calmest brides and grooms. Instead, prepare in style alongside your bridesmaids in a bridal room; you’ll feel perfectly relaxed as you make priceless memories with those you love most. The award-winning Paul Gauguin cruise line sets the scene for a picturesque wedding in the South Pacific so couples can say ‘I do’ in paradise. A legal ceremony must be performed prior setting sail, but there’s still the option to have a romantic, symbolic ceremony and exchange vows aboard. 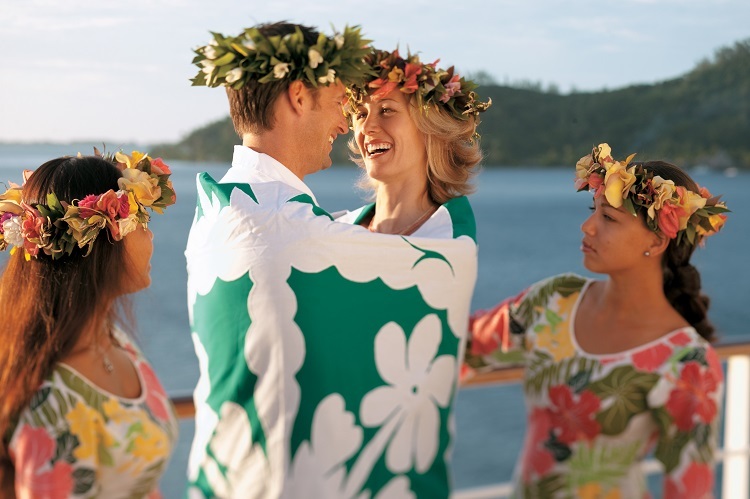 At $315, the Motu Wedding Ceremony or Renewal of Vows package features a private Polynesian blessing held on Motu Mahana, a reception cake and box of chocolates, in-room bottle of champagne, deluxe flower arrangement, and an invitation to have dinner with an Officer. The Bora Bora Wedding Ceremony or Renewal of Vows at Thalasso package includes a Tahitian blessing by a local priest set in a romantic chapel, the bride’s arrival in a traditional outrigger canoe, flower leis for the couple, a 2-course lunch and use of facilities at InterContinental Bora Bora Resort & Thalasso Spa, and transfers, all for $950. Nothing says unique and memorable like a Paul Gauguin cruise line wedding! Celebrate your love with Norwegian Cruise Lines as you set sail on a new beginning. Couples can choose to have their ceremony aboard the ship or at the exotic destination of their choice. A legal at sea ceremony is priced at $2,995, while a symbolic at sea ceremony is priced at $1,999. For wedding packages, two of the more common options are the Harborside Package and the Destination Package. At $2,995 the Harborside Package includes priority check-in for the couple and their sailing guests, attendance for non-sailing guests to the ceremony and reception, a local non-denominational officiant, onsite wedding coordinator, ceremony vows, recorded ceremony music, bouquet and boutonniere, wedding cake, bottle of sparkling wine, and help getting a marriage license. The Destination Package is priced at $3,495 and has all the same features of the Harborside Package, as well as round-trip transportation for the couple to and from the ceremony site and one hour of wedding photography. Additional packages are available depending on which destination you’re getting married in. No matter where you go, Norwegian will make certain every detail aligns with what you desire for your perfect day! Voyaging with Star Clippers promises comfort and luxury for couples when they’re aboard one of the cruise line’s elegant ships. With stunning structures that replicate old sailing vessels, your wedding will be one-of-a-kind. The five-mast Royal Clipper can hold up to 227 people and is home to a three-level dining room, spa, health center, three swimming pools, and hidden balconies. Star Clipper and Star Flyer are smaller ships with passenger capacities of 170 people and features like two swimming pools, a piano bar, library, and antique décor and paintings. Couples will experience the style and class of any of these ships as they celebrate their new life together and explore beauties like the Caribbean, Mediterranean, or Southeast Asia. Getting Married on a Cruise Ship: Is it for you? Eager to pull off the perfect cruise wedding? You don’t have to go it alone. 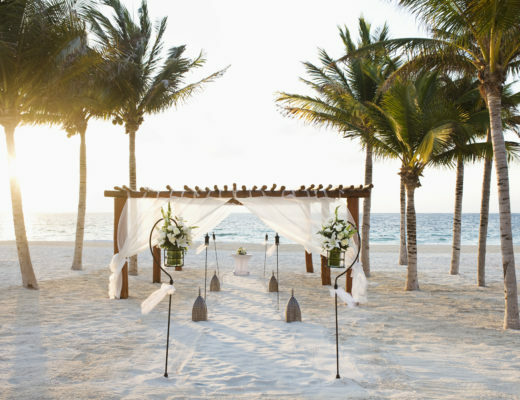 Work with a Destination Weddings planner to prepare a blissful ceremony and reception. 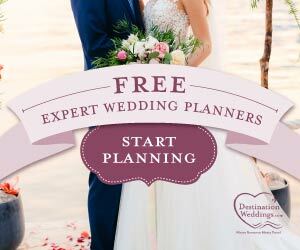 With your wedding Specialist’s help, you can throw a romantic cruise wedding that will have you and your guests raving for years to come.